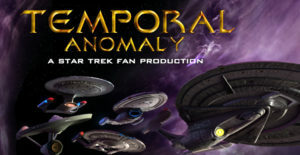 Yep, for only the fourth time, CBS stepped in to put the kibosh on a Star Trek fan film project (the others being Axanar, Federation Rising from Tommy Kraft, and “He Walked Among Us” from Star Trek: New Voyages. Considering there are literally several hundreds of Trek fan films, the VAST majority never hear from CBS. But Samuel did…just weeks before releasing his half-decade labor of love. The fan film world was all ready, one year ago, to see this long-awaited masterpiece. In fact, I even featured a 38-minute audio interview with Samuel in mid-February of 2018 in anticipation of a March release. But then CBS contacted Samuel, and things came to an immediate halt! 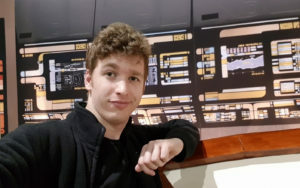 However, in a very unexpected turn of events, Samuel was able to convince CBS to allow him to make certain changes and release the fan film after all, even negotiating a one-time exemption from the 30-minute limit to allow for his full 50-minute film to play out as scripted. Unfortunately, making the required changes—which included stripping out the music track and finding a composer to re-score the entire feature—took nearly another year. In the meantime, Samuel made other improvements to the VFX, CGI backgrounds, etc. The result is one of the most visually stunning and impressive green screen Trek fan films you are ever likely to see. Pretty amazing, huh? Now take a listen to a FANtastic new audio interview with Samuel. 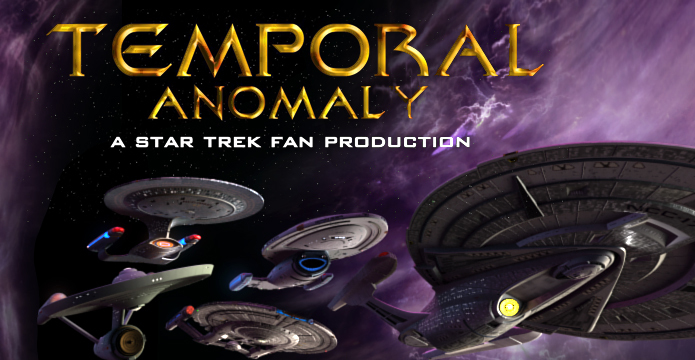 This time, we discuss exactly what happened with CBS and how Samuel was able to convince them to change their minds and let him release Temporal Anomaly…and even make it 50 minutes long! We also discuss the fan film world in general, what makes good CGI, behind-the-scenes stories from Samuel’s production, and updates on his next fan project, Convergence.